This mindblowing 5,000 square foot ocean-front luxury villa sits in one of Bali’s most spectacular settings on the rocks of Uluwatu directly facing one of the Island’s iconic waves, Impossibles. With its turquoise shutters, panoramic view and chic understated yet meticulously detailed design, Mandala. The Rocks. is truly the ultimate beach house. Each of the six en suite bedrooms features a private terrace overlooking the white sand and surf, while the open plan entertaining space includes a private bar and ocean deck. 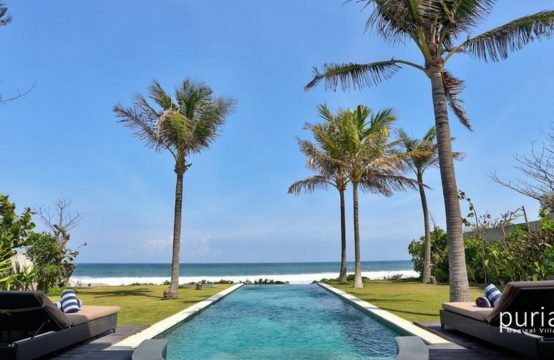 With its incredible cliff gym, unrivalled sunset views and “surf-in surf-out” access, no other villa of this standard in Bali has this level of ocean access.